The second part of the series introducing TR Cutting Masters from around the world. Check out the first part here if you missed it. Vendula Kalinova was born and raised in a small Village in Czech Republic. As a child she was intrigued by playing with cords and making things with her hands. She has learned to crochet, knit & needlepoint; soon asking her mom for a sewing machine. The primitive machine she talked her mom into getting never quite worked, so she ended up sewing everything by hand. At the age of 13, Vendula went on to study at vocational school of Leather Industry majoring in Shoe Manufacture. This was the closest she was able to get to a sewing machine, at a factory during Communist times. Dreaming of a bigger world she migrated to United States at the age of 18. While earning a degree in Interior Design; throughout the years she has spent all of her free time experimenting and honing craftsmanship skills through researching, reading books, studying & practicing any craft she could get her hands on from crocheting, knitting, embroidery, needle pointing, felting, sculpting, sewing, draping, patternmaking, textile manipulation.. to taking Shingo Sato’s TR Cutting School online class & earning a TR Master Certificate in 2015. 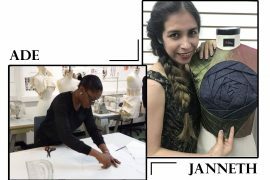 Attending a Fashion Design evening program at FIT in 2017 has made her soon notice, the years of experimentation & study have given her the education of a much higher merit than what was taught in any of her classes. Much of the skills acquired have made Vendula realize the formula of “making a life, not a living” was of a virtue, and she has decided to not only drop out of the program but to quit her day job as well. This decision has allowed for a spiritual awakening, and for the opportunity to take a leap and pursue her day dream fully. Vendula has turned her passion into a business, and is now creating out of her home based studio in Astoria, NYC; with the mixture of always polishing her skills through consulting others, collaborating with like minded individuals, in addition to her personal projects. There is something beyond fascinating in the process of creating; she says, that she truly enjoys the actual labor with her hands far beyond the final result, which is why there is always plenty of photos of how she got to the result. “The beautiful mess that no one ever sees because it gets destroyed for the final product” she calls it. 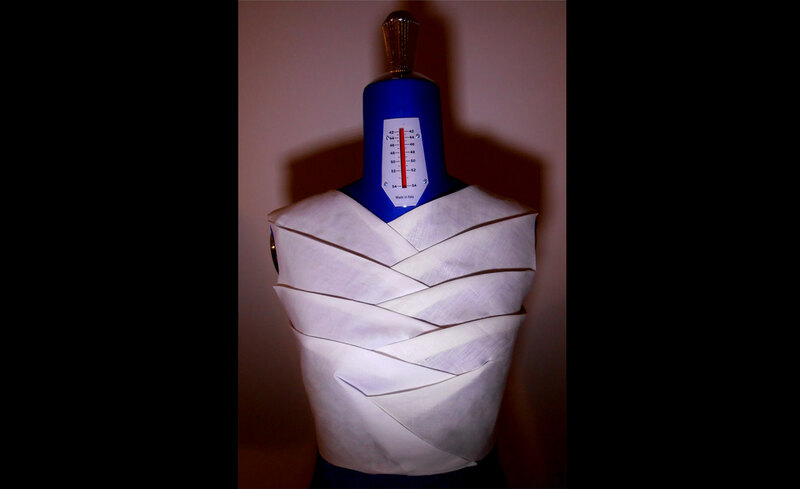 Vendula’s strength is in her craftsmanship and attention to detail. What she finds meditative is to pay hours to a square inch. In today’s world craft gets lost in the sea of impatience because everyone wants everything as of yesterday. However; when you spend five months working on a single piece, it will show. She does not sketch her designs; as her approach is very organic, and much of the creation happens during playing with the material. 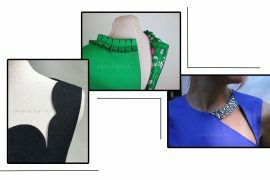 Wanting to connect with like minded individuals, Vendula started a Fashion sewing group on Facebook called “Sewing News”. It has quickly grown into a wonderful resource for learning the bits and pieces she has missed out on during her self-taught years. Much of her inspiration comes from the members of “Sewing News”; whom she has visited in person. From California, to Romania, all the way to Myanmar. To see the techniques that people use indigenously, or simply just by the difference of resources; the way people create in other parts of the world is something she finds of a priceless experience that adds to her way of seeing creatively. Irina Akkaya is a fashion designer and an artist from Romania. She first started sewing on her mother’s sewing machine when she was still a child. This became a more professional skill in 2011 when she went to study at Art&Style School in Bucharest. Irina got her degree in Costume and Fashion Strategies from the National University of Arts in Bucharest and it was through a teacher of hers, that she discovered Shingo Sato. She did some workshops and completed the online masterclass in 2015. 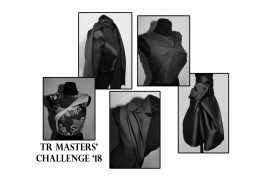 After that she’s done her best to participate each year to the TR Masters’ Challenge. Irina has her own fashion brand, Irina Akkaya, and Transformational Reconstruction has become an important part of her collections. She skillfully uses origami techniques and fabric manipulation in her designs. She develops a 3D design that suits women’s body and their personality, creating originality for everyone who wears this brand. When Irina creates garments, she tries to innovate three-dimensional techniques and to develop a form of art based on origami and tessellations through fabric manipulation. 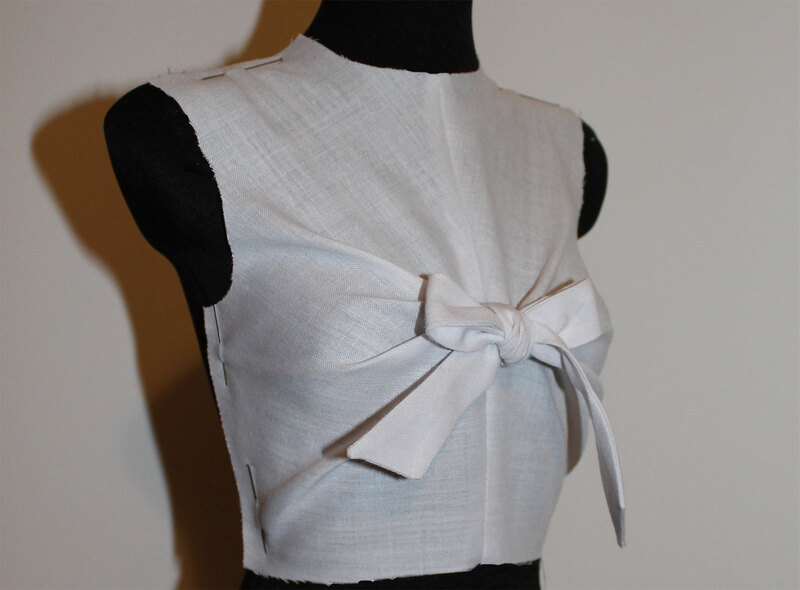 Check the links to see pictures of her beautiful designs. Since 2015 Irina has been teaching fashion, pattern making, tailoring, sewing and even painting classes. She prepares students for their passion or admission to Art Universities. She became a teacher because she likes to share her knowledge with other passionate people, to inspire them and to help them be creative and innovative. Irina teaches TR Cutting techniques as well and she was very happy to hear that Shingo Sato accepted her invitation and will be coming to Romania 6-12th of November to teach an intensive TR Cutting- and an origami workshop.